The Fernie Fix — Watershed Productions Inc. 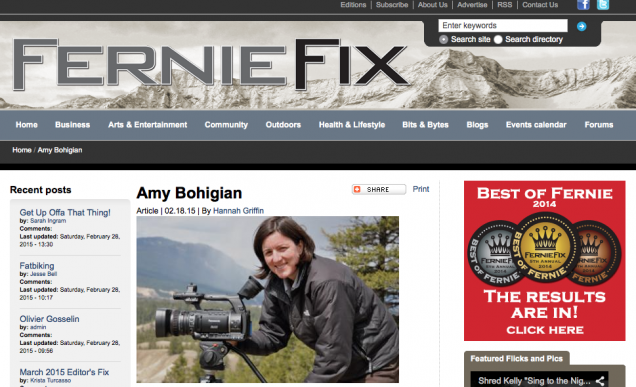 It was fun to be profiled in the Fernie Fix here. Thanks to Hannah Griffin who tracked me down and did this interview. While we didn’t actually cross paths in the wilds of Ontario, she became a staff member at YMCA Camp Pinecrest where I used to work before I moved to Nelson. Small world. Posted on March 2, 2015	in Filmmaking, Resource. Bookmark the permalink.